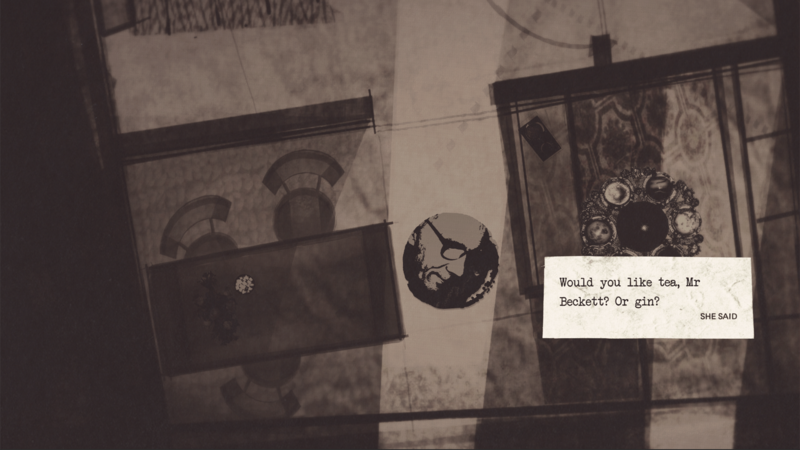 Move through the splintering psyche of an unhinged detective as he relives the case that changes him forever in ‘Beckett,’ a powerful and emotionally probing narrative experience, now available on Steam. Glasgow, Scotland – February 27th, 2018:KISS Publishing Ltd. and The Secret Experiment today announce that Beckett, their powerful narrative experience is now available for PC, with Mac soon to follow. Beckett is an abstract retelling of a missing person’s case where the investigator ﬁnds himself caught between the life he once had and that which he now lives. The surreal noir will be showcased in The V&A, the world’s leading museum of art and design, who have hand-picked Beckett as an example of design excellence in storytelling and digital media to be featured in its new museum in Dundee. Beckett, the story’s antihero, reluctantly agrees to track down a young man suffering from The Soft Paranoia, a mental illness that warps reality, and ﬁnds himself caught up in an advancing march through a world that challenges his resolve and his sanity. The story is told on an abstract canvas that reﬂects Beckett’s emotional impression of the world around him, where characters can be anything from an antique brooch to a slice of meat. Everything in Beckett is open to interpretation. It takes its lead from theatre and books, requiring the audience to be part of the experience. 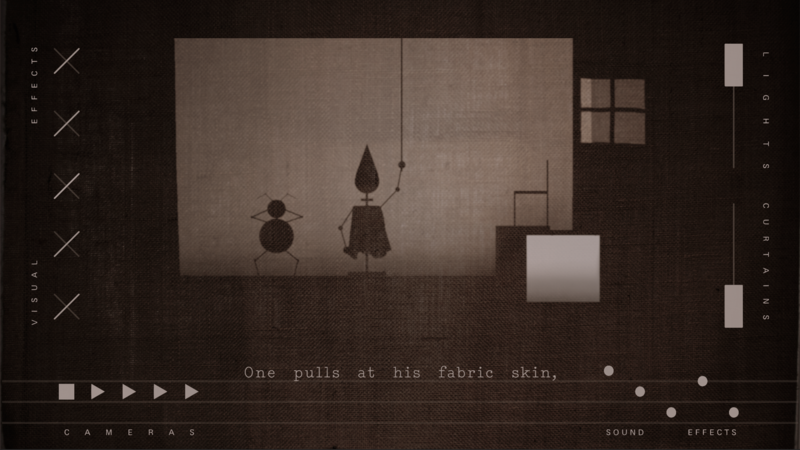 The gameplay uses a point-and-click interface that is aligned to Beckett’s desires and motivations at any moment in time. The scenes in Beckett are top-down, digitally painted as abstract blueprints with a tactile feel that’s a million-miles away from the current wave of high-ﬁdelity 3D gaming experiences. 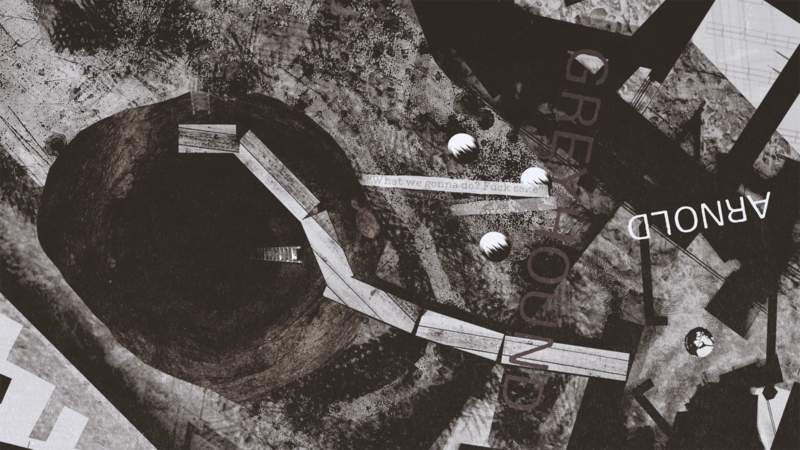 The story is told through digital artwork, illustration, photography, ﬁlm and print, with an audio pallet built through ﬁeld recordings and original composition. There are only a handful of 3D models in the game, with most artefacts existing as real items built by the studio. “Beckett is a visceral experience. It is an advent calendar of the absurd. It is a compelling journey through a disturbing unknown. We want people to feel different playing this game, and feel different afterwards,” said Simon Meek, Founder of The Secret Experiment and writer/director of Beckett. Beckett is the ﬁrst in a new-wave of playable ﬁction by The Secret Experiment, defying mainstream expectations of what videogames are with titles more aligned to literature and arthouse cinema. 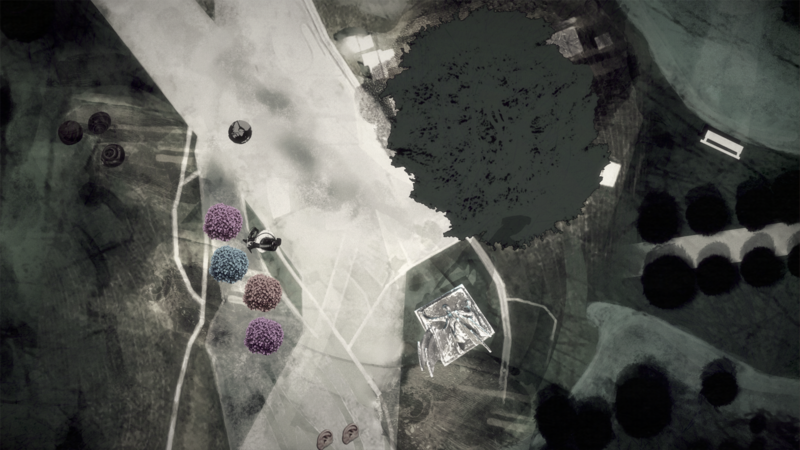 The Secret Experiment aims to deliver powerful narratives from original voices, placing the emphasis on the authorial expression of the director and the imaginative power and intellect of the player. The studio is redeﬁning the medium as an auteur’s format, reinvigorating the notion of independent games and creating content that isn’t afraid of taking risks.